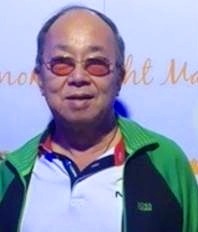 72, was born in Canton China, and passed away in Honolulu on December 8, 2017. He is survived by his son Jerry, daughter Judy; sisters Veronica, Julia, and Gloria; granddaughter Dannielle. Services will be held at Oahu Cemetery on Thursday, December 28, 2017. Visitation 10:00 am; Service 11:30am; Inurnment 12:30pm.